WARSAW — A local graduate is gaining experience as an intern with State Rep. Dave Wolkins (R-Warsaw) and his fellow members of the House of Representatives during the 2017 legislative session. Rachel Bibler, a resident of Warsaw, is the daughter of William and Benita Bibler. A Warsaw Community High School graduate, Bibler attends Purdue University where she is majoring in mass communication and minoring in Spanish and political science. 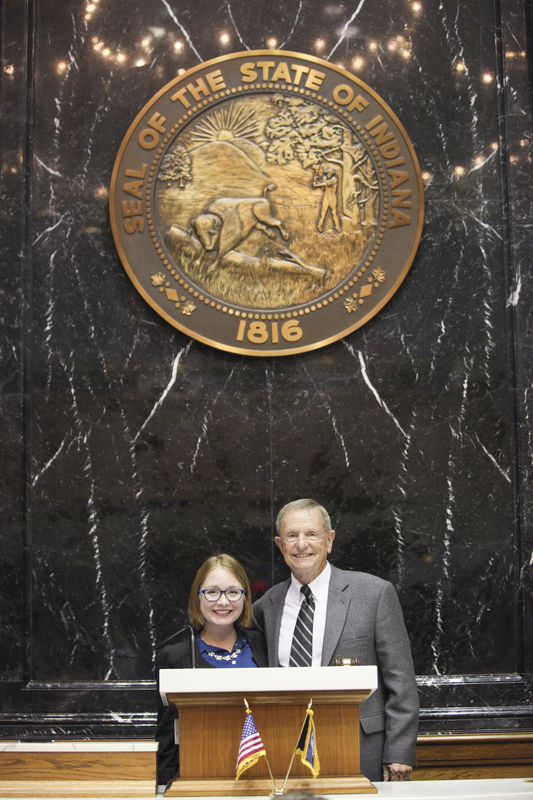 As a legislative intern, Bibler corresponds with constituents through phone calls, letters and emails. She also helps staff committee hearings and floor proceedings. The House of Representatives offers paid internship opportunities to college students, law-school students, graduate students and recent college graduates for the duration of each legislative session. Visit online for more information about the House Republican internship program.